In January I got a custom order for a Sherlock themed charm bracelet and I was really excited to make something new, especially as it was based around one of my favourite fictional detectives! It was fun hunting out the different charms, and fitting them together to form a cohesive piece. I also enjoyed making the cabochon of the great sleuth himself, and it seemed to tie the theme of the bracelet together nicely. 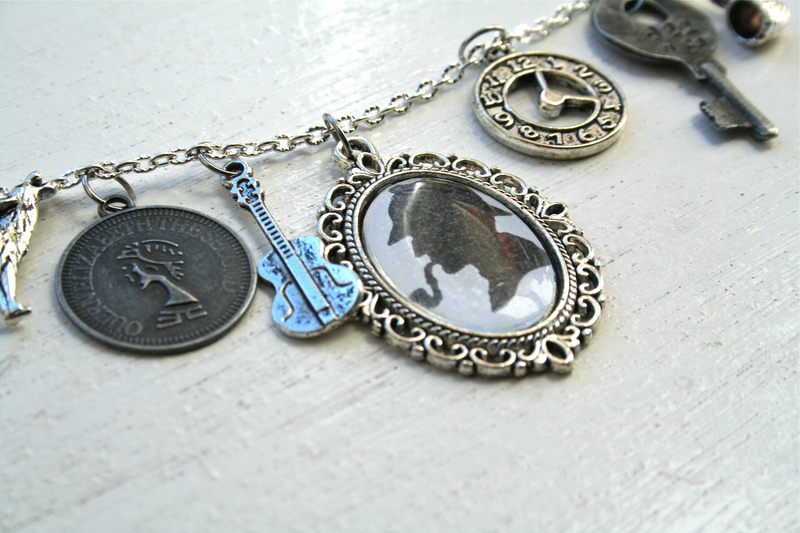 I’d love to make some more custom bracelets, especially any other book or TV show themed items as I’m a bit of a geek! A personalised item like this makes a wonderful gift, or little treat, that’s unique to you, so just drop us a message if you would like any further details! I hope everyone’s had a good week! I’m off to have a read of all the other Handmade Monday blog posts! A great bracelet and there are so many great books you can use for inspiration. Hope you have a good week. 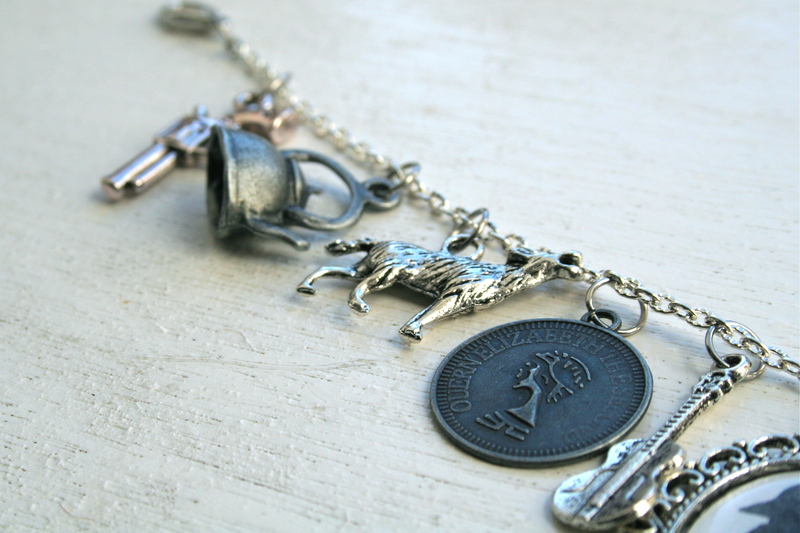 What a brilliant idea – you have so much potential with themed charm bracelets. You could be onto a winner there! What a fab custom order! Looks like it was fun to do! What a stunning bracelet. Such a unique idea. What a fabulous bracelet.I love it. This has really come together really well. I bet the customer was really pleased. Hope you have a good week.